Each container garden reflects the unique design elements and preferences of the gardener. The choice of container makes the plant unique as does the choices of flowers and foliage plants. The best plants for a container garden create a subjective conundrum for any gardener. The best plants actually include those specimens that perfectly suit available light conditions, climate, soil and decorative needs. Desirable traits for the best plants for container gardens also include interesting foliage, plant height, flower quality and color. An endless list of annuals provides a wide array of planting options for container gardens. Geranium serves as one of the most versatile plants that is tolerant of a full-sun location. 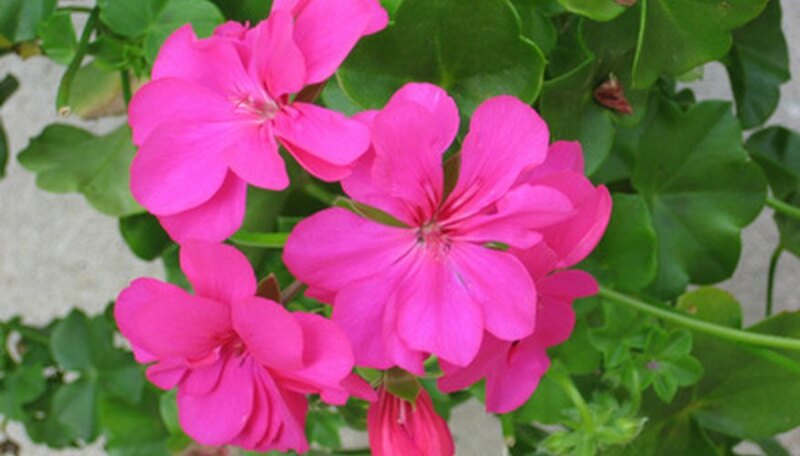 Geranium feature rounded thick leaves with plenty of decorative ability in their own right. Couple this beautiful foliage with ball-like clusters of pink, red or white foliage for a stunning annual plant. Geraniums perform best in full to partial sun and blooms continually throughout the summer with regular removal of spent blossoms. This annual tops the list of best plants for container garden because it can be wintered indoors for use the following season. Vinca provide the gardener a tough, heat-tolerant annual for the container garden. The upright summer-blooming type of vinca goes by the name Madagascar vinca. This plant provides beautiful, deep green foliage and long-lasting blooms in a huge variety of colors. Vinca blooms throughout the summer and can be planted in containers after the last frost. Stalks reach up to 18 inches in height, with flowers in a stunning array of colors to suit every outdoor color scheme. Shade container gardens require plants that add splashes of color with beautiful foliage. A stunning plant called the coleus serves perfectly as a focal point of the container garden. These plants come in a wide array of foliage colors ranging from the deepest burgundy to light green. Leaves are wide and variegated to add texture to any garden. Mix and match various types of this foliage plant in a single container garden for a beautiful effect. 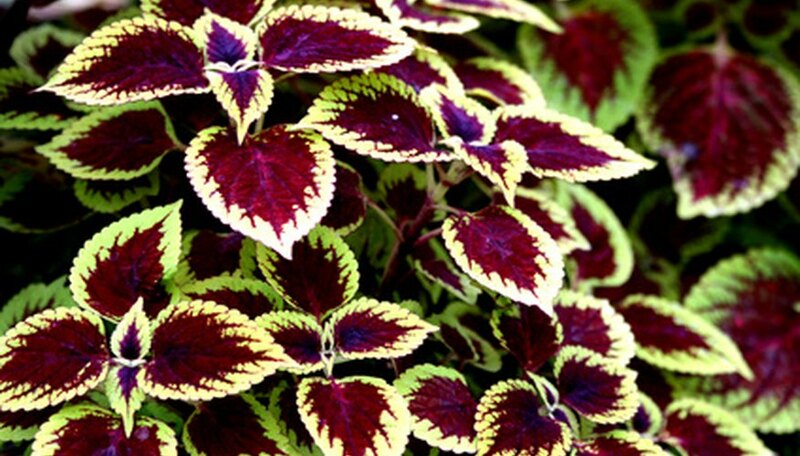 Sun-tolerant coleus exists to provide gardeners additional options for this gorgeous foliage plant. Make sure to check the planting label for sunlight requirements. Fuzzy gray leaves grace this annual foliage plant that tolerates a sun to partial-shade environment. Dusty miller features multibranched stems in a subdued color that contrasts nicely with the bright blooms of other plants in a container garden. This plant produces nonshowy yellow clusters of flowers in mid to late summer. Dusty miller prefers organically rich soil and will tolerate limited drought conditions. What Shrubs Can I Grow in Containers?